AAPW Electrical Contractors are Part P certified in the UK with ELECSA and are members of the Electrical Contractors Association (ECA), as well as being registered with The Electrical Contractors Safety & Standards Association to carry out work in the Republic of Ireland. Inspection & Testing is a complicated and time consuming process. The safety of your installation/portable appliances and their users rely on the ability and commitment of the Test Engineer. We don’t cut corners. We provide a thoroughly professional service at competitive rates. A Periodic Inspection and Test is an assessment of the safety and overall condition of an existing installation. It consists of a written report, a Schedule of Inspections and a Schedule of Test Results. It is sometimes referred to as a Landlord’s Safety Certificate. Legislation requires that all installations must be maintained in a safe condition. Regular inspecting and testing of the installation by a competent and trained Test Engineer, along with timely maintenance and repair of highlighted problems is the crucial element in ensuring compliance with this legislation. AAPW Electrical Contractors have all the relevant training and equipment to inspect and test any installation - domestic or commercial. We produce very detailed reports and photographic confirmation of all Code 1 (dangerous/urgent) and Code 2 (requires improvement asap) items. In addition and where possible, we will rectify Code 1 or Code 2 items at no extra cost in order to preclude their inclusion in the final report. According to the Health & Safety Executive, 25% of electrical accidents can be attributed to portable appliances. The Electricity at Work Regulations place a legal responsibility on employers, organisations and landlords to take practical steps to ensure that no danger results from the use of such equipment. As an example, guidance issued by the Department for Communities and Local Government indicates that when accommodation is re-let, electrical appliances will be classed as being supplied to that tenant for the first time, and should therefore be rechecked. 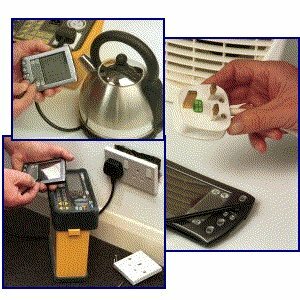 Put your mind at rest by having your portable appliances tested by AAPW Electrical Contractors. We use the most up to date equipment and have the latest training. We can use your existing PAT forms to update your inventory, or if these don’t exist, we can set them up for you for an extra fee. If you wish, we will retain a copy of your records for safe keeping, at no extra charge. 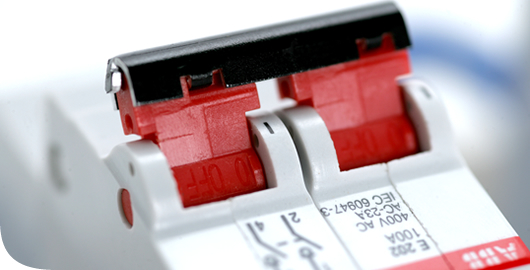 We provide free estimates on all electrical maintenance requirements including: full or partial rewires, addition of accessories, installation of consumer units, installation of main and/or supplementary bonding, garden and/or outbuilding power, security lighting, A/V wiring. "excellent and thorough service provided, for the testing of all our office portable appliances"
"we are grateful for you drawing our attention to one dangerous appliance and making another safe to use"
"we have circulated your recommended advice on electrical goods to our staff, and this will form part of our future safety induction for new members of staff"